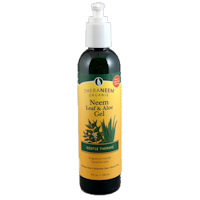 Neem calms, nourishes and moisturizes even the most sensitive skin. 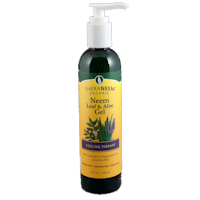 Greaseless, fast-absorbing and fragrance free, TheraNeem Organix Neem Leaf & Aloe Gel can be used after sun or shaving. 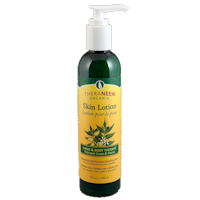 This formula is appropriate for all skin types to help protect & nourish your skin.